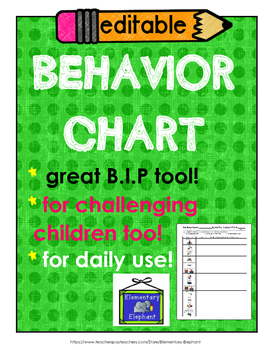 Daily Behavior Chart - with Pictures - Editable! This was created with Boardmaker pictures. 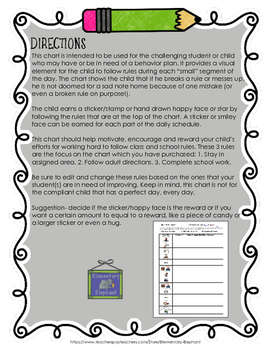 It is a one page document and is great to use to motivate a child to work hard at those "hard-to-follow" classroom rules. Feel free to edit the document as you wish. 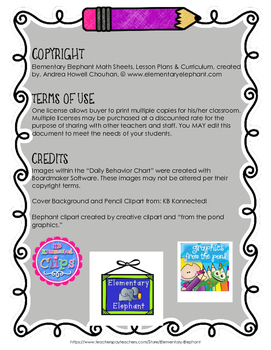 Please read the directions for a full description of "how to use" and suggestions. 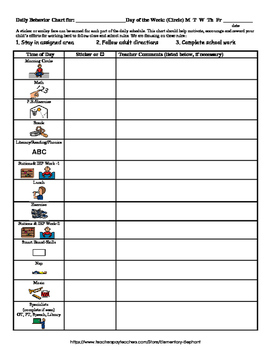 I am providing several copies in WORD and PDF formats.